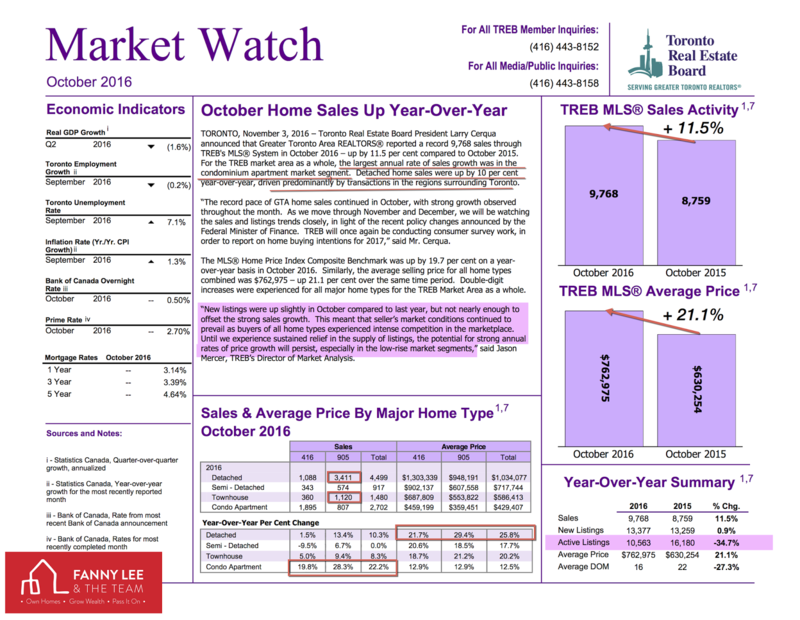 In October, Toronto Area home resale market continued to outperform last year. Sales increased by 11.5% and the average selling price rose 21.1% from $630,254 of last to $762,975. * "For the TREB market area as a whole, the largest annual rate of sales growth was in the condominium apartment market segment." - The sales of condos grew by 22% in 12 months. * "Detached home sales were up by 10 per cent year-over-year, driven predominantly by transactions in the regions surrounding Toronto." - In October, detached house sales in 905-Area was more than TRIPLE of 416-Area (3,411 vs 1,088). * Year-over-year, detached home price changed by 25.8% and condos increased by 12.5%. 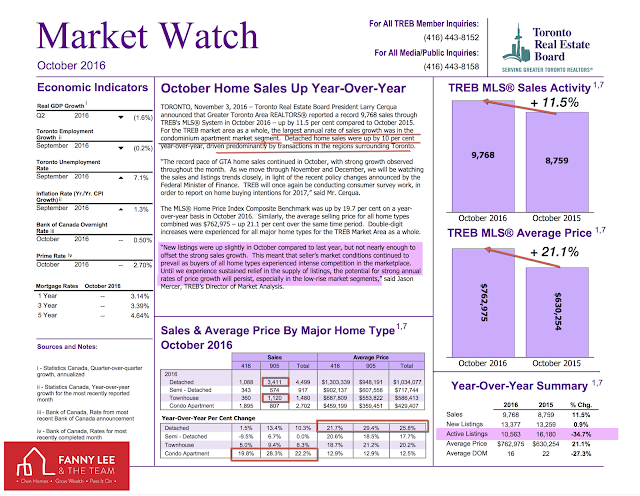 * Although new listings were up slightly, active listings was still 1/3 less than October 2015 - "This meant that seller’s market conditions continued to prevail as buyers of all home types experienced intense competition in the marketplace." If you are thinking of selling your property in this hot market, we definitely could help. Contact us.